California-based artist Tim Hawkinson was born in 1960 and earned his MFA at the University of California, Los Angeles in 1989. 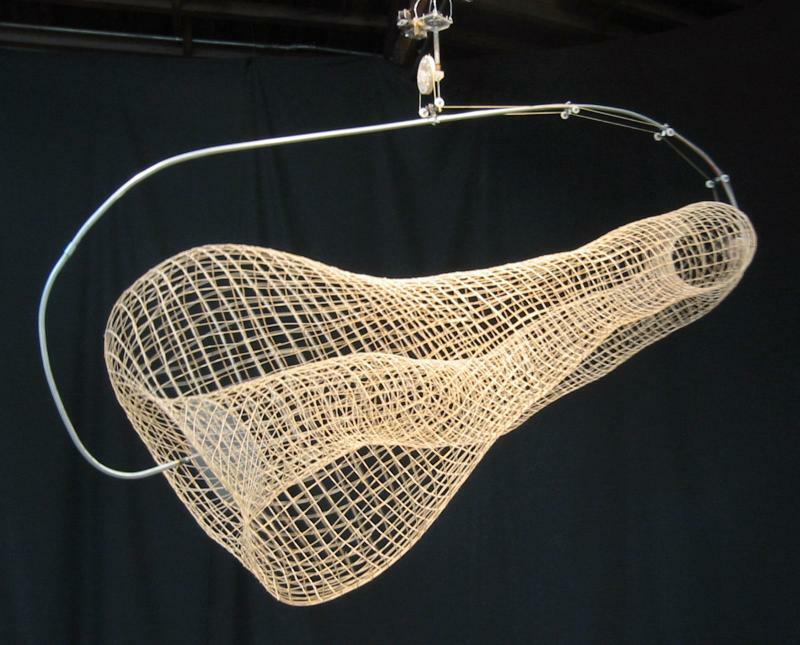 Hawkinson is renowned for creating complex sculptural systems through surprisingly simple means. In 1997, the artist created an exacting, two-inch-tall skeleton of a bird from his own fingernail parings, and later made a feather and egg from his own hair; believable even at a close distance, these works reveal Hawkinson’s attention to detail as well as his obsession with life, death, and the passage of time. Hawkinson has participated in numerous exhibitions in the United States and abroad, including the Venice Biennale (1999); Massachusetts Museum of Contemporary Art (2000); the Power Plant, Toronto (2000); the Whitney Biennial (2002). My favorite of his pieces is the Möbius Ship, which humorously refers to the mathematical concept of the Möbius Strip. Its simple yet complex spatial configuration presents a visual puzzle that parallels Hawkinson’s transformation of the mundane materials into something unexpected.